My name is Ujash Patel and I am in the final semester of my Bachelor of Science at the University of Melbourne. After learning Psychology, Genetics, Neuroscience, and Software Development (thanks to the Melbourne Model) over the past 2 years, I am excited to graduate with a major in Computing and Software Systems, along with an understanding of a wide breadth of disciplines. My first year of university was busy with exploring different clubs on campus, meeting people from different cultures and geographic locations, partying, and of course studying in groups. However, somewhere inside, I still felt something was missing. When I met a friend in my Psychology class who was a big Bollywood fan, it finally clicked. We decided to open a small club of our own. Within a month, seeing a positive response from the crowd on campus, we decided to get affiliated with UMSU. The club has been operational for one year and is expanding quickly. Though I consider myself fortunate for being able to lead the Bollywood Club as its President since the start, frankly I never imagined I would be able to do something like this. Something that involves organisation, planning, management and public relations. It gives me immense joy now when I see freshers attending our events and enjoying their Bollywood time. It also instills a sense of satisfaction and awareness, after discovering new colours of my personality. I now meet many new people on campus, and it feels different to actually recognise faces (in a university of more than 50,000 students). Frankly, it sometimes feels like a startup, with a beautiful team and common goal. In many ways, this has helped me polish my teamwork, communication, and leadership skills. 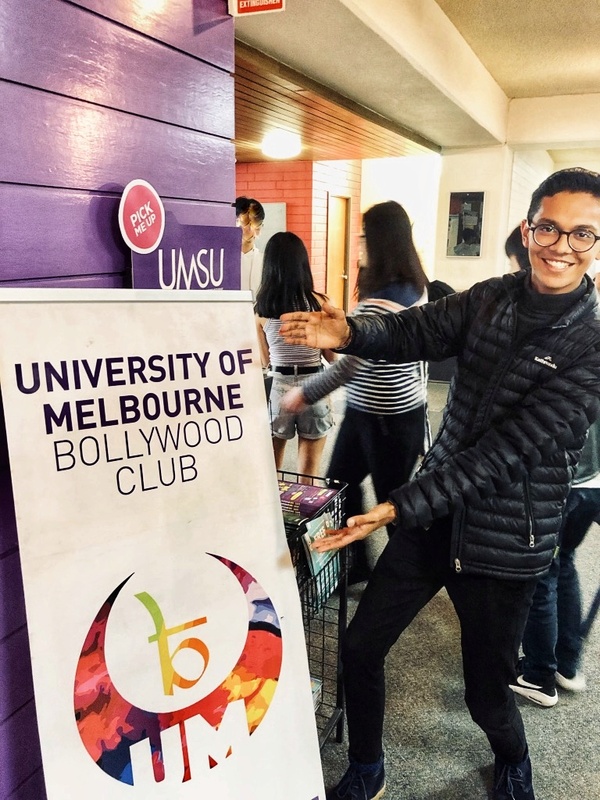 Ujash Patel posing with the Bollywood Club Banner after a club event. One of the other opportunities that I will cherish forever was participating in VHacks-2018. 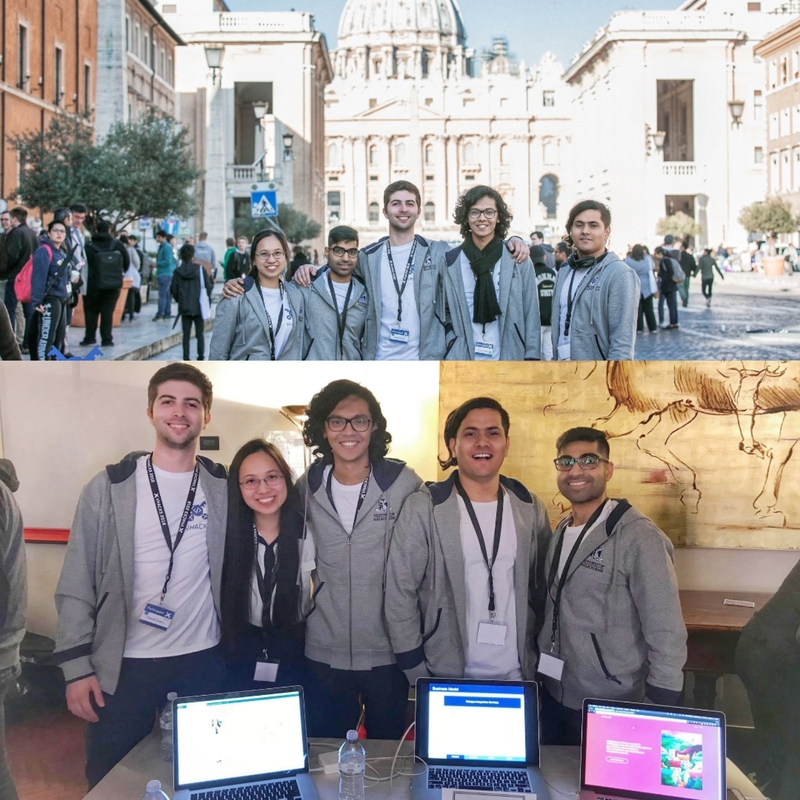 VHacks is a global hackathon organised by the students at Harvard University, in the Vatican City. All elite universities around the world send a team of 5 students to participate in the challenge, the aim of which is to find solutions to global problems through technology. I was fortunate to be selected in a team of 5 by the School of Computing and Information Systems (CIS), to represent the University of Melbourne on a global scale. CIS made sure we received appropriate training (including VCA presentation skills, fun team building and ideation workshops), to make the most of our strengths and represent the University (or probably even the country, since we were the only team from Australia) in best light. The most overwhelming experience of all was the research phase of the competition. To know more about the ‘challenges’ released by the VHacks Team, the CIS team helped us organise meetings with many influential people and institutions around Melbourne such as the Red Cross, Australian Government Judge for Refugee and Migrants, and various religious preachers and practitioners. Well-prepared with our idea and solution, we reached Rome, only to find ourselves in absolute awe. The venue, other participants and the organisers were all so impressive. It was easy to get distracted. But we were there for a reason - VHacks. 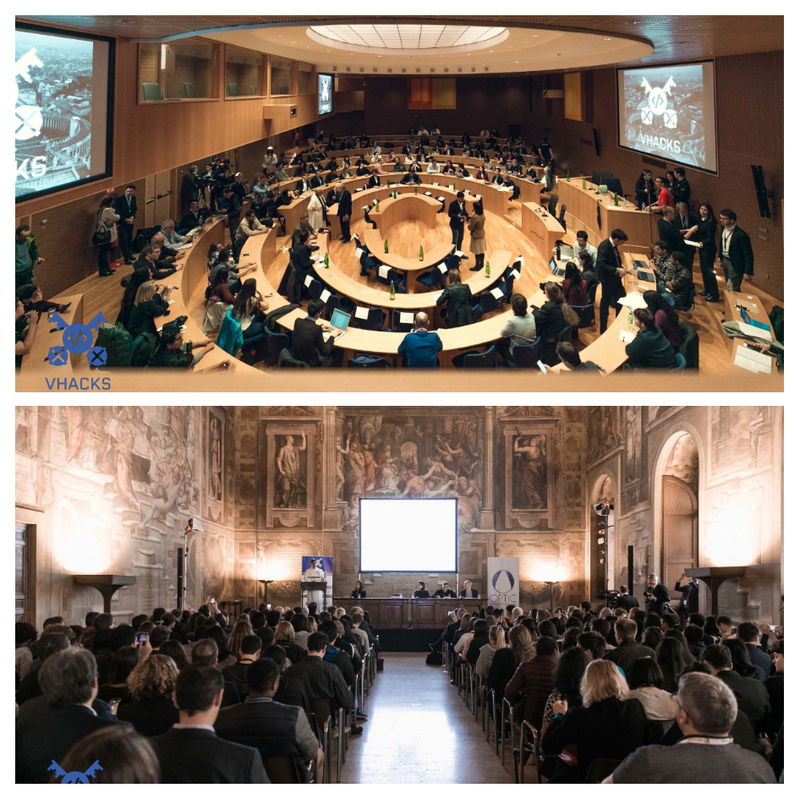 While we competed with other prestigious universities like MIT, we also had an opportunity to hear from the counsellors of the Vatican, CEOs, and change makers in the field of Refugee Policies, Inter-faith Dialogue, and Inclusion. It was much more than just a hackathon inside the holy walls. The immense exposure to not only international technological competence, but also to social and political issues around the world – the ones which we ignore in our everyday lives, but which have become inescapable reality for the people who are suffering – was a transformative experience for me. I am determined to continue my journey of exploring social challenges, studying them and looking for solutions. After all, it is us who make a society and not vice-versa. Currently, I am tutoring a first year subject with the CIS, and teaching Python Programming to secondary and high school children. 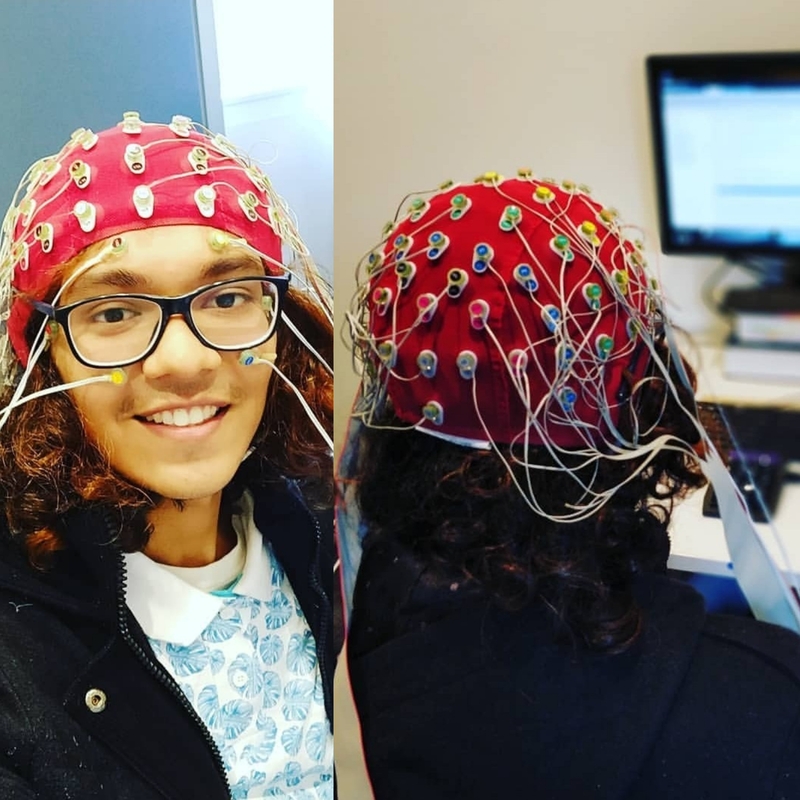 I am also interning at Melbourne Brain Centre at Royal Melbourne Hospital, assisting my internship supervisor in developing Artificial Neural Network for processing Medical Images. With my graduation ceremony just months away, I am more excited to enter the workforce and put my tech skills into application (I’m majoring in Software, remember?). After graduation, I plan to briefly go back home to India for a month and possibly go on a spiritual retreat, somewhere in the Himalayas before I start work (and miss Uni! ).